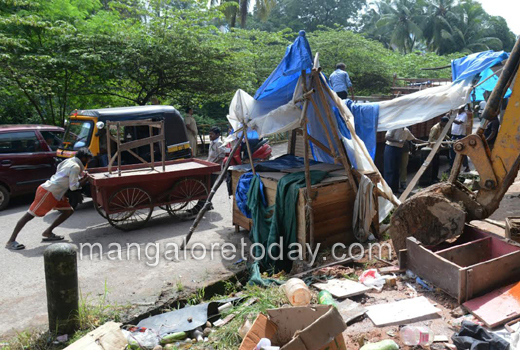 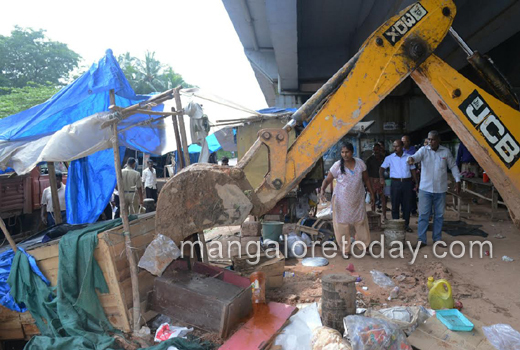 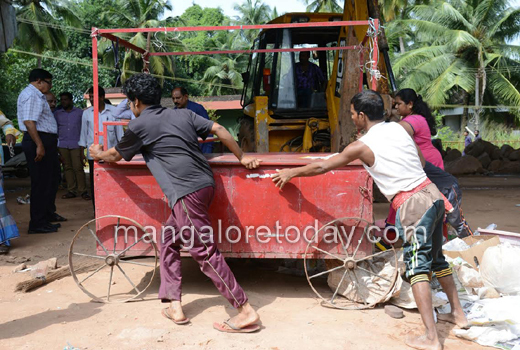 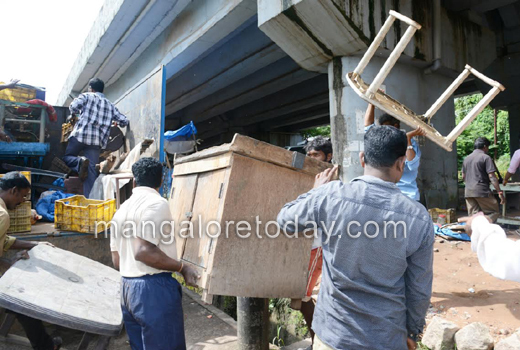 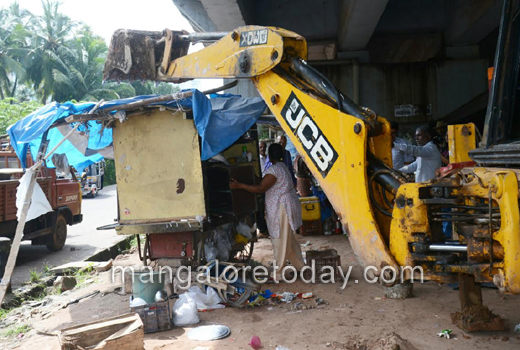 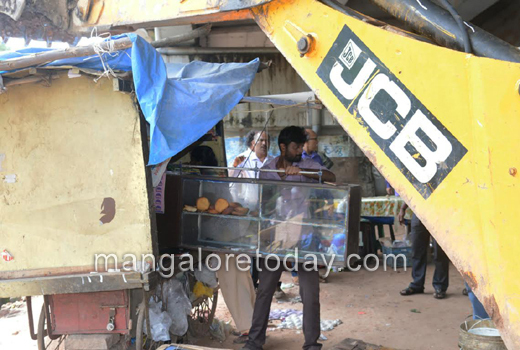 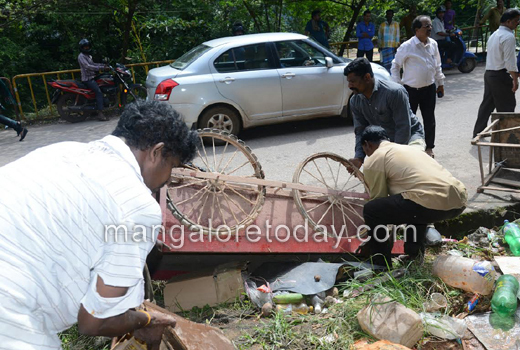 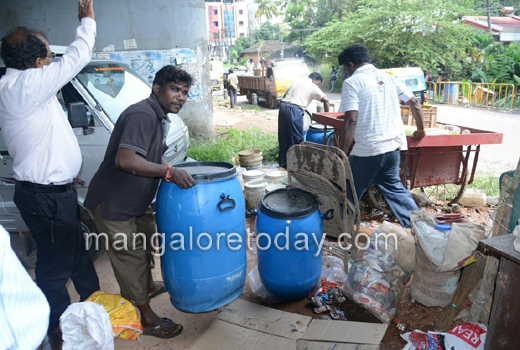 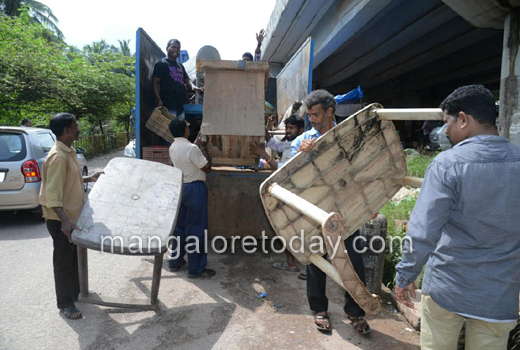 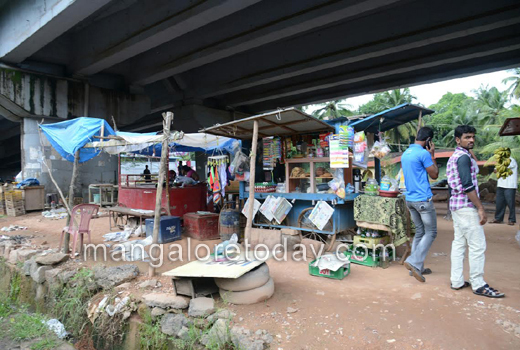 Mangaluru, Sep 03, 2016: A team of MCC officials led by Health Inspector Manjayya and Revenue Officer Praveen evicted the several petty shops which were functioning unauthorisedly underneath the flyover at Kuntikana, on September 3, Saturday. 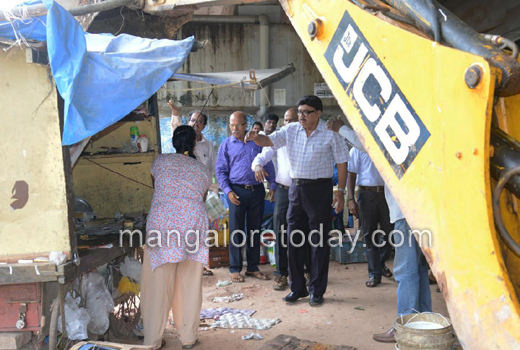 Here it is worth mentioning that the MCC has been dealing violators with an iron hand since some time. 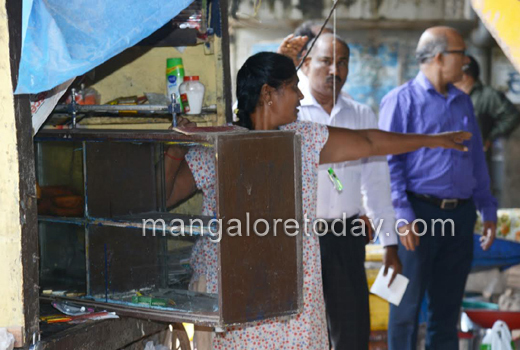 Already several shops without valid trade licences have been sealed at various places in the city.